Seventh Generation began across the Atlantic in the USA and are fairly new to the UK. Their items include household products for laundry and cleaning and are designed for people with skin allergies, eczema and other skin conditions. In our house it’s my eldest daughter Jordanna who seems to randomly suffer with an array of undiagnosed skin problems. These include general skin dryness where patches of skin will feel rough like sandpaper, various sensitivities which the rest of us seem to be immune too (i.e flea bites) and random rashes and spots that appear from time to time. We just don’t know why or what causes any of it, except that her skin appears to be sensitive to many things. I can only guess that certain types of soaps, bath products, laundry detergents and household cleaners add to her skin problems so it can often be difficult to know what to use. 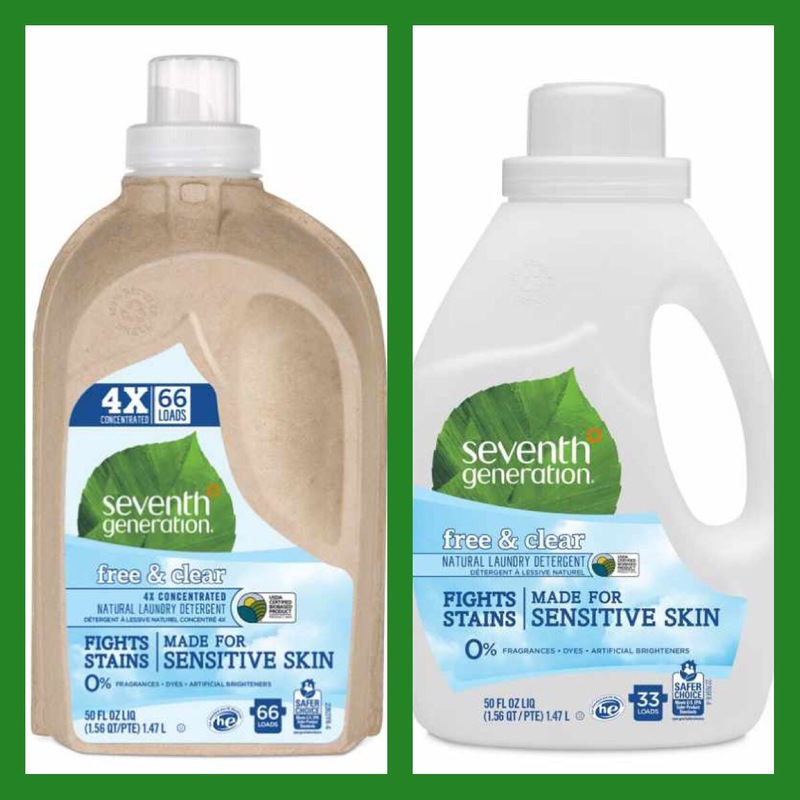 The products from Seventh Generation are made without the usual harsh chemicals and synthetic fragrances which can irritate skin. 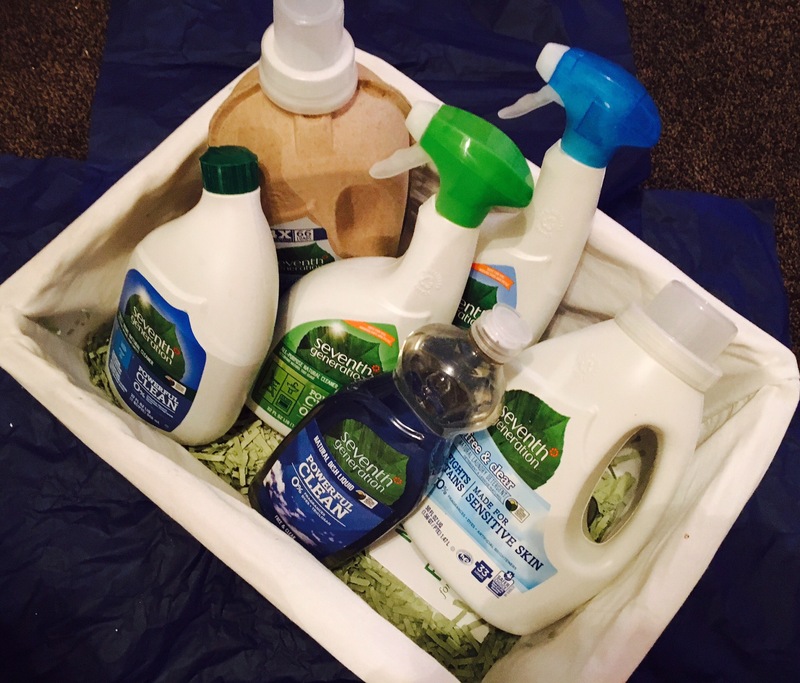 There are no dyes or artificial brighteners so the majority of the cleaning/laundry products will be fragrance free and colour free or clear liquids. Their packaging is made from 100% recycled bottles making the products kinder to the environment as well as the skin. These are the products which I have been using recently, all of which are available to buy in Tesco. I have two big laundry liquids. Both of these do similar jobs – wash the clothes. There is not too much difference between them. They are both clear and free of dyes and fragrance. The differences being that the one on the left is super concentrated meaning I don’t need to use as much to wash clothes and it’s also much better on tougher stains such as chocolate, tomato, pizza and even blood. This one also comes in an unsusal container which looks a lot like cardboard on first glance. It’s actually repurposed fibre. This bottle can apparently be used as a plant starter once the liquid has gone. 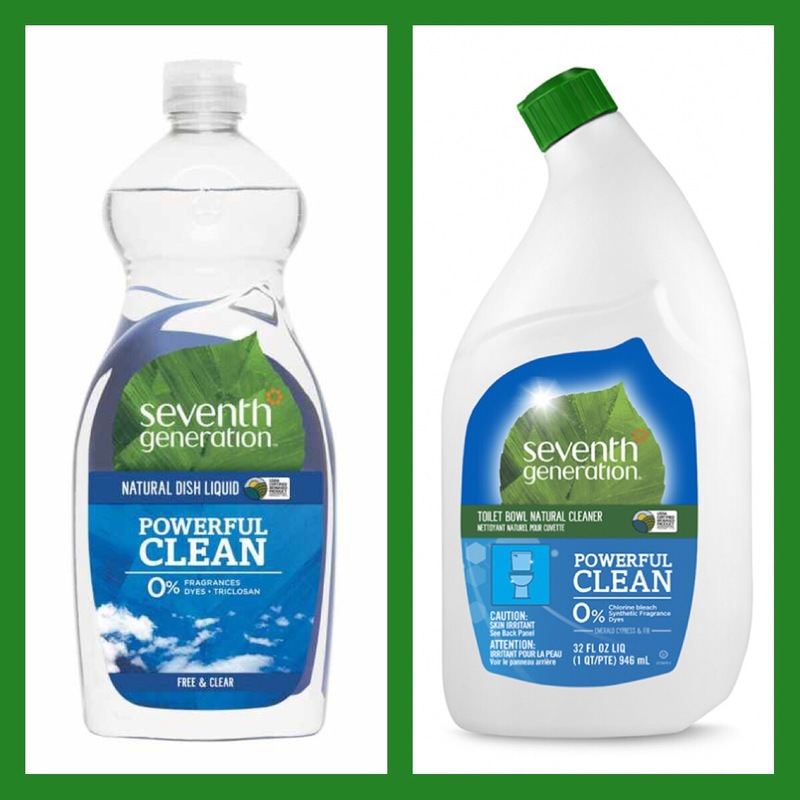 Seventh Generation also sent me two of their household cleaning products. Again probably not much difference between the two. The green one is an all purpose cleaner meaning I can use it pretty much anywhere. The lack of harsh chemicals make it safer, not just for skin but for my furnishings which can become stained or damaged if using incorrect products. The all purpose cleaner is fine for kitchens, bathrooms, doors, window ledges and pretty much anywhere else that needs a clean, baby items included. There is however a picture of a cooker on the front of the bottle which may be slightly misleading. This product is fine for cleaning my hob and the cooker exterior but I don’t think it is strong enough to clean inside the oven properly. Unfortunately I still need to use the very nasty stuff for that job. The blue cleaner on the right is more for glass products and surfaces. I have white units in my living room and a few mirrors around my home so this is a good product to get them clean and shiny without the awful cleaning smells. 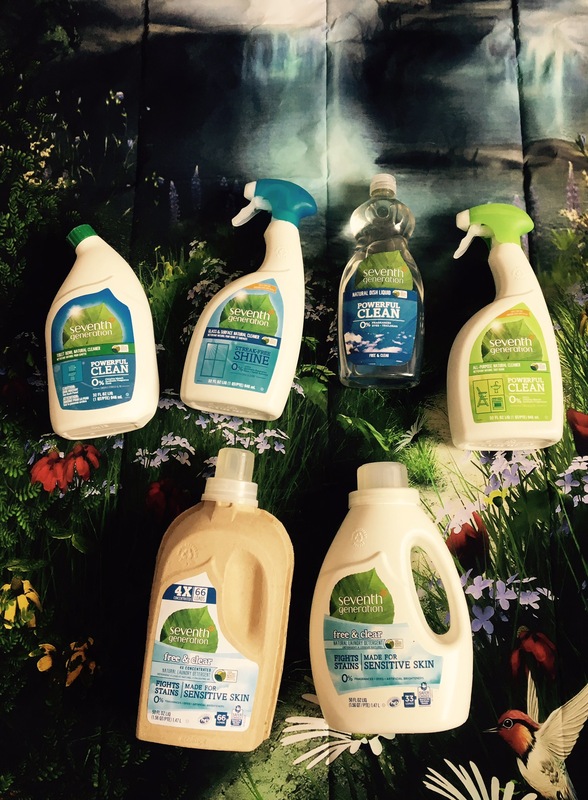 My final two products are a natural washing up liquid and natural toilet cleaner. For those of us who don’t normally suffer from sensitive skin problems (myself included) have your hands ever itched, stung or felt slightly sore or dry after washing dishes? I know mine have a few times. I actually put it down to the water being too hot or not drying them correctly but I am now fairly sure that it’s the chemicals in the washing liquids, no matter how mild that cause the slight irritation. This natural free washing liquid does exactly the same job as all the other dish washing products and that is get the dishes clean. It still forms bubbles and still cuts through grease and tough dish and pan stains, even oven dishes. It just comes without the scent and added colour. The toilet cleaner is one of the products that does come with a slight scent. I suppose it has to really given that part of cleaning a toilet is also making it smell good rather than of what usually goes in it (YUK). The fragrance – Cypress and Fir is made purely from essential oils and botanical extracts. It smells totally different from the usual heavy bleach toilet cleaners, it can still cause skin irritation if it gets directly onto skin (as with most products) but is much safer than most other toilet cleaners. All of these products can be bought in Tesco. I am hoping they will bring in more of the range of products to the UK soon as the USA does have a bigger selection. 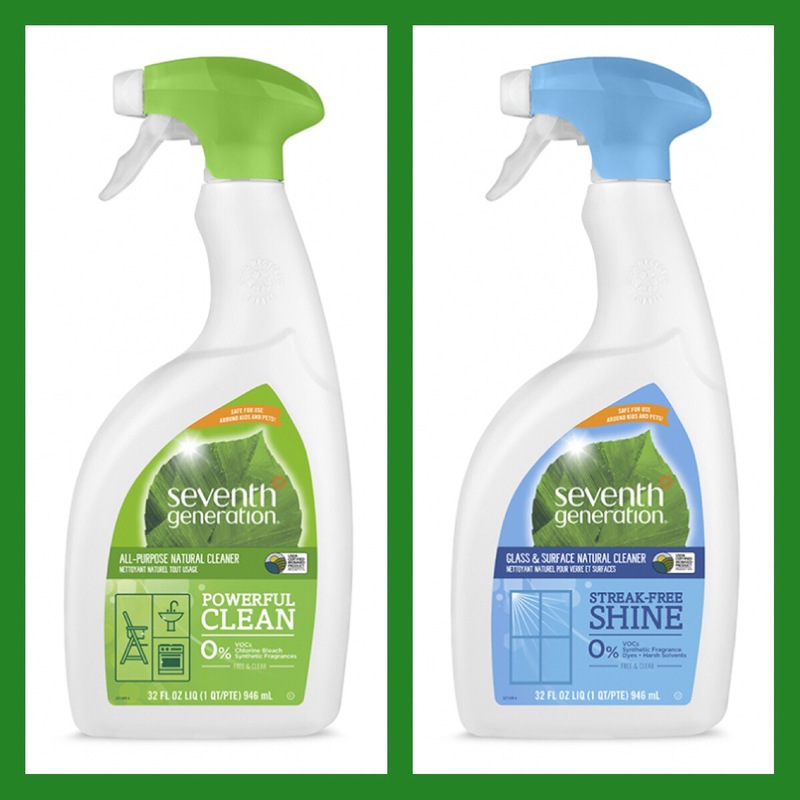 Seventh Generation are giving away two baskets full of their products (as above) to two lucky readers. Yes you get the basket too! Taking part is easy peasy, just click the entry link below. The giveaway will close on June 27th and 2 winners will be drawn at random. Entrants must be UK based and have valid working Facebook, twitter and email accounts. Would love to try these out, I’m a bit of a cleaning product addict!